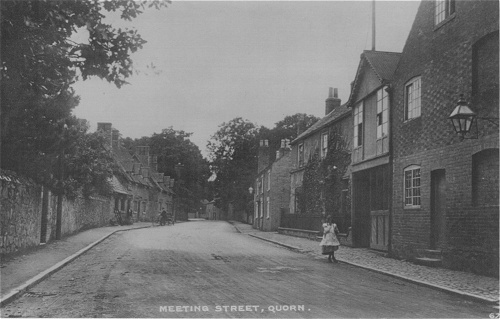 An early photograph of Meeting Street. The pub on the right (in the distance with the lantern) is The Blacksmith's Arms - still a pub today. The bulding on the left is The Old Forge. 27 Meeting Street is the building on the right with ivy. The two buildings nearer on the right have since been demolished.